Federal regulators no longer are pressing to cut the costs of most prison phone calls, backing away from a years-long effort to limit charges imposed by a handful of private companies on inmates and their families. After voting against comprehensive reform of the prison telephone industry, FCC Commissioner Ajit Pai is turning his focus to contraband cellphones in correctional facilities. New FCC Rate Caps in Effect - Let the FCC Know if You are Being Overcharged! A group of state Attorneys General can't get their hands out of prisoner family pockets. Yesterday, the U.S. Court of Appeals for the District of Columbia Cir­­­cuit granted a partial stay requested by the telecommunications companies effectively delaying last year’s Order by the Federal Communications Commission (FCC) to regulate the prison phone industry. The U.S. Court of Appeals for the D.C. Circuit issued a partial stay this morning preventing the full force of the FCC's inmate calling caps from going into effect. Virginia DOC lowers prison phone rates to under $0.05/Min! The Human Rights Defense Center (HRDC) filed a Comment with the FCC notifying them of the Virginia DOC's prison phone rate of $0.0409 for all calls effective December 1, 2015. The FCC’s order was in response to the Wright Petition – a petition for rulemaking filed by Washington, D.C. resident Martha Wright, who challenged the high phone rates she had to pay to accept calls from her incarcerated grandson. The Campaign for Prison Phone Justice, led by the Human Rights Defense Center, Center for Media Justice, and Nation Inside along with a team of allies, prisoners, and, most importantly, prisoner family members--- won a major victory for prison phone justice today! It's time for those charged to "protect and serve" to step up. 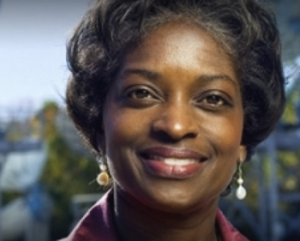 Commissioner Mignon Clyburn has been leading the phone justice fight for years, and we need to show her support! We need you to join the fight for prison phone justice. Urgent action need to support Virginia prison phone bill. Yesterday, the Federal Communications Commission issued a Second Further Notice of Proposed Rulemaking in a long-standing proceeding to reduce the cost of phone calls made from prisons, jails and other detention facilities. 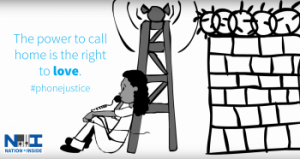 This video shows the impact the cost of prison phone calls has on families. We're standing up for Washington Families - join us. A company that provides phone service to prison inmates has lost its bid to dismiss a putative class action over its rates in Newark federal court, but the case has been stayed while the plaintiffs pursue an administrative remedy with the Federal Communications Commission. This morning Texas CURE & the Campaign for Prison Phone Justice will deliver almost 2500 signature telling Dallas County to not eliminate in person visitation by installing video visitation only system by Securus. The largest U.S. operator of prison phones, Global Tel*Link Corp. is up for sale. For over ten years a coalition of organizations and individuals has been asking the Federal Communications Commission (the FCC) to lower the cost of calling prison, jail or detention centers. Our network, the Media Action Grassroots Network was at the forefront of the fight through our work in the Campaign for Prison Phone Justice. Together along with our allies last August we finally won! The FCC set new lower rates which take effect February 2014. On Thursday November 21, 2013 the Federal Communications Commission denied a petition by two of the biggest prison telephone operators, Securus and Global Tel Link, and their request for a stay on the implementation of the FCC’s order on lower long distance phone rates from correctional facilities across the country. On August 2nd, 2013 the FCC's Consumer Advisory Committee passed a resolution recommending the FCC ensure prison calls are reasonable and address the unique impact of phone rates to disable prisoners. After more than 10 years of delayed justice, the Federal Communications Commission will finally take a vote to reduce prison phone rates. Unofficial announcement on proposed reform of Interstate Inmate Calling Regime. 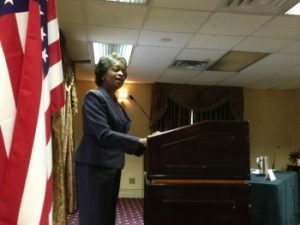 At the 104th National Conference last week, the NAACP passes resolution in support of FCC reform to prison phone rates. Held July 10th, this video cover the Federal Communications Commission workshop on prison phone rates. Some commissioners have vowed to ensure that the families that have been fighting for over a decade for prison phone justice have resolution this year. Commissioner Jessica Rosenworcel told families today the following: "When a decision comes before me, I want to be able to vote it first, I want to be able to vote it fast." 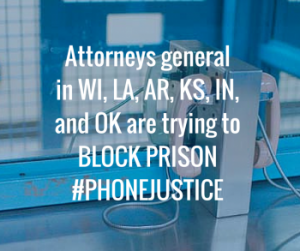 On July 10th Answer the Call for #PhoneJustice and join us in D.C. and online. Prisoners Respond to Call for Prison Phone Justice; SCI-Huntington Delivers! Between July 2012 and June 2013, prisoners submitted or signed on to 1,754 letters or comments filed with the FCC regarding the Wright Petition! VA's DOC Director asked the FCC to lower phone call costs and Virginians responded. Join the Campaign for Prison Phone Justice, Free Press and Strong Families as we deliver a Mother's Day message to the FCC. “I understand the need for security, but there is no need for high (phone) rates to maintain that security.” – Charlie, prisoner in Iowa. Listen to the audio from the Prison Phones workshop at the National Conference on Media Reform. In a few short weeks, thousands of individuals and organizations filed comments with the FCC concerning the Notice of Proposed Rulemaking (NPRM) on the Wright Petition. 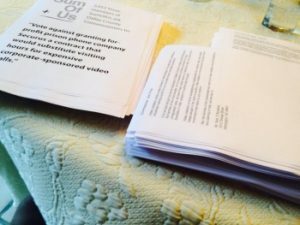 Campaign for Prison Phone Justice and a broad range of voices across the political spectrum submitted comments to the FCC in support of prison phone rate reductions. With one week until the March 25 deadline, 200 prisoners and 100 others have submitted comments to the FCC regarding the "Notice of Proposed Rulemaking" on the Wright Petition. On March 12, support prisoners and families by attending a hearing for phone justice in Maryland. Testify to lend your voice to the cause. A mother submits a powerful comment to the FCC, and so can you! On Friday February 1st, 60 people attended a public hearing on prison telephone rates in New York City co-hosted by Rainbow PUSH Coalition and the Campaign for Prison Phone Justice. A reminder that tomorrow, Rainbow PUSH Coalition and the Campaign for Prison Phone Justice are co-hosting a public hearing, on Feb. 1st, in New York City on the high cost of prison telephone calls. New York Times editorial urges the FCC to pass the Wright Petition and charge reasonable rates for prison phone calls.